In the heart of Buenos Aires, the seat of the Argentinian government kept struggling with audio technology. A great number of surrounding business buildings meant that there were many audio systems using the same standard bandwidths, causing serious interferences. Even important press conferences often didn’t run smoothly. Government technicians found the solution to their problems in Sennheiser’s Speechline Digital Wireless series (SLDW). This elegantly designed system now flawlessly guarantees disturbance-free transmission of audio signals and renders communication with the Argentinian public smooth and simple. Profile The Casa Rosada is the house of the executive power and office of the President of Argentina. The mansion has its nickname from the iconic baby pink color, and is considered one of the most emblematic buildings in Buenos Aires. 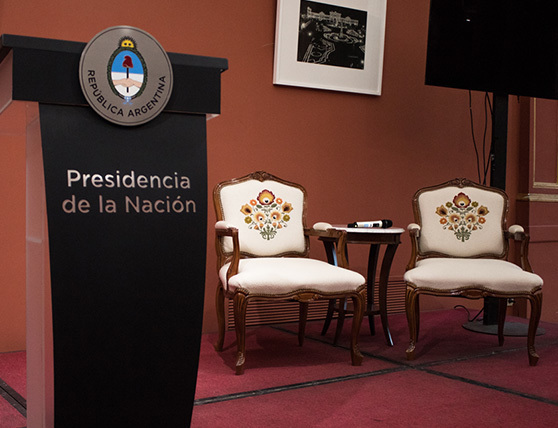 Government technicians faced the challenge of finding an audio system that met the high quality demands of the Argentinian government. During press conferences and press announcements in the conference room, they wanted to be able to rely on a high quality audio system that transmitted their speech without the slightest disturbance occurring. In light of their good past experience with Sennheiser products, Ing. 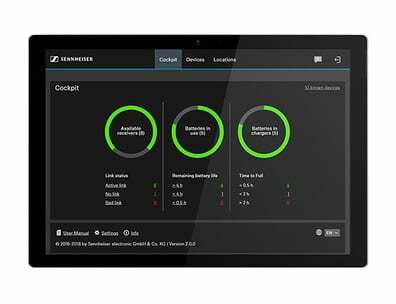 Di Tomaso and his colleagues consulted their long-standing system integrator ARS, the official Sennheiser distributor in Argentina, who suggested using Sennheiser’s new Speechline Digital Wireless series (SLDW). It is equipped with DECT technology, which means it does not make use of the so often over-saturated standard bandwidths. The system was tested for several days, and everyone in the Government House was immediately impressed by the flawless functioning of the new system. „We realized straight-away that this was the kind of system we had hoped for“ says Ing. Di Tomaso. So blown away were they by the audio quality and practicality of this product that they acquired more of the mobile units for the six other rooms in the building, for training sessions, meetings and acts of government. Bye bye, batteries – hello, USB!